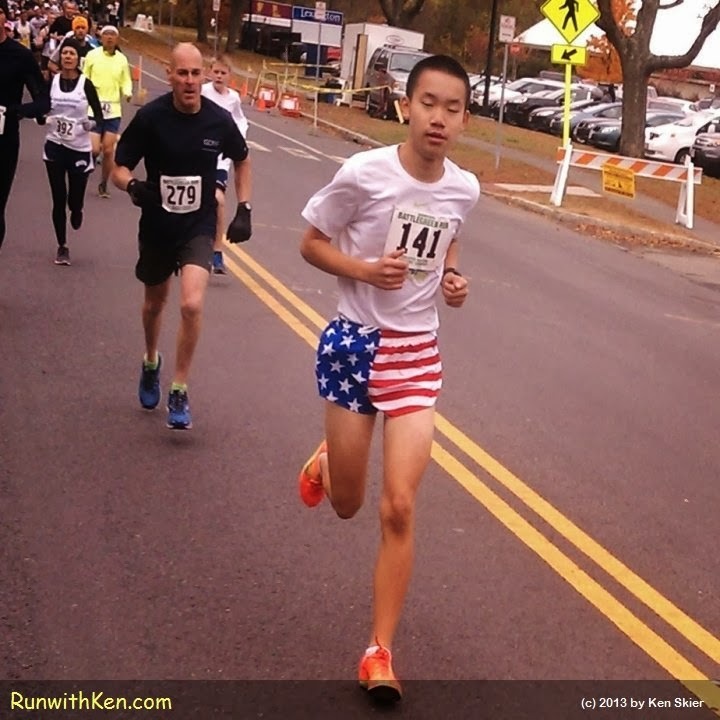 A patriotic runner--at the BIRTHPLACE of American Liberty! At the Genesis Battlegreen Run in Lexington, MA. forcible resistance to the British crown, in the Battle of Lexington. Their courageous act is remembered today as "The shot heard 'round the world." So it is only appropriate that this runner wear patriotic garb in his run through Lexington! He was just behind me when I took this photo. I was running, too.